I grew up during a time in which "good parenting" meant opening the front door, sending your child outdoors, even as young as 3 and 4, and not expecting to see him for hours at a time. I knew my address was 134 Wembley Street and that when mom rang her bell I was expected to come home. We lived in a suburban neighborhood in Columbia, South Carolina, in a house on a cul-de-sac. The day we moved in, I was standing beside the driveway watching the burly men carry our family's belongings into our new home, when I noticed another boy who appeared to be about my age standing at the end of the driveway. 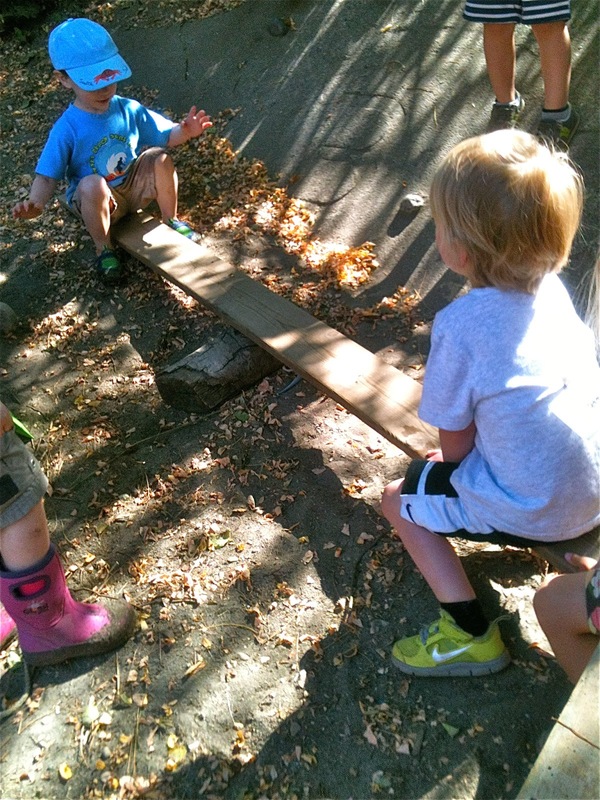 After studying one another for awhile, I walked out to him and did something that I would find extraordinary if it happened at Woodland Park today or any other preschool I've ever encountered: I introduced myself. And he replied, "I'm John." Of course, most four-year-olds today are fully capable of introducing themselves, they have the confidence and language skills, but they've not had the practice because they've not had the opportunities. Most of their social introductions occur through adults, via parents at arranged playdates and teachers in school. For children growing up in the 60's, however, playing unsupervised in yards, streets, and vacant lots, engaged in the experiment of living, we made our own introductions because that's what we were left to do. As our school year starts, early years teachers will sing songs, make photo collages, and engineer all manner of other ways to help their children learn one another's names. Perhaps we would be better to leave them to their own devices, so that they can at once begin to try the experiment of living.